For even the most experienced rifle shooters there are so many conflicting theories and methods of what works best in certain shooting situations, imagine how it would feel being a novice and just getting started in the rifle world. This short action round is the commercial brother of the military 7.62x51 NATO.Without doubt one of the most popular hunting and target rounds available worldwide. There are a vast amount of factory loads and reloading options available.Fantastic medium to large game performance. Without a doubt one of the most popular hunting rounds ever made. 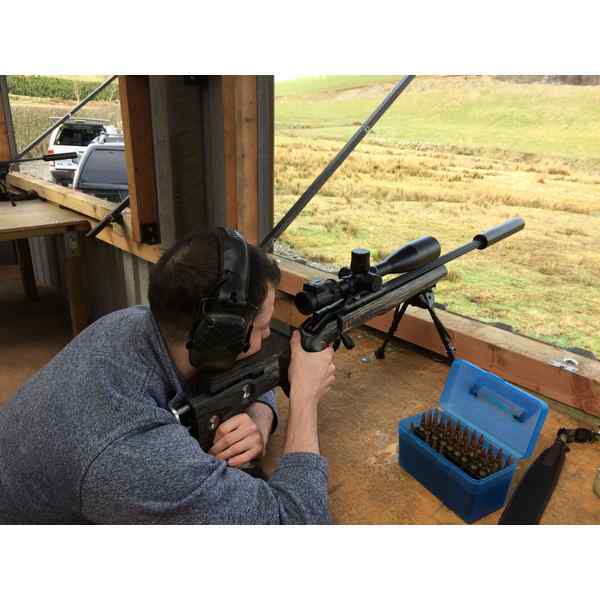 Flat shooting and hard hitting often causing hydrostatic shock dropping game on the spot within normal stalking distances.Popular with shooters requiring a longer range shot such as highland stalking.Numerous factory loads are available. This necked down .308 to 6mm the round is flat shooting with minimal recoil.Capable and legal for shooting all UK deer species with the correct bullet choice as well as making an excellent vermin round. There is a great range of both factory and home load options. This soft recoiling calibre has been in use for over 125 years. It has excellent potential in taking medium to large game, used regularly in Scandinavia for moose. Excellent penetration due to the high sectional density of the 6.5mm bullet head.Superb potential for shooters home loading. Has been used for over 100 years.Superb for medium to large game with great knock down performance. Flat shooting and without excessive recoil.Perfect calibre when shots at extended range are to be expected. 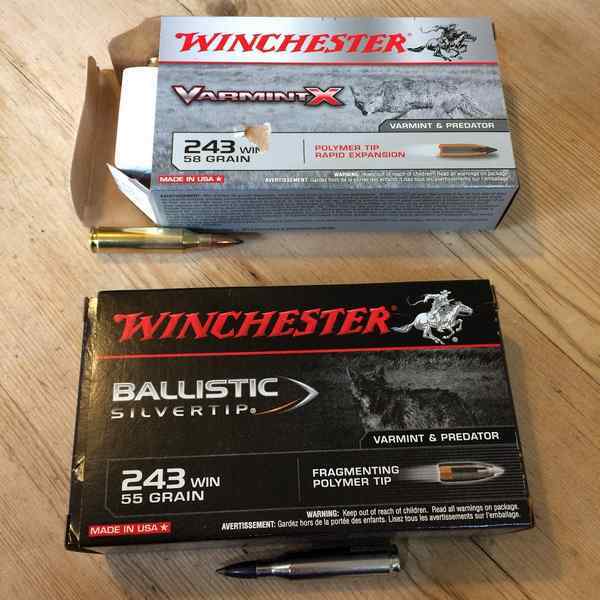 It is important to mention that there are many UK legal deer calibres of .240 (6mm) and above. All are more than capable of handling all UK deer species within sensible stalking distances. Shot placement with the correct choice of bullet weight and construction is far more important. 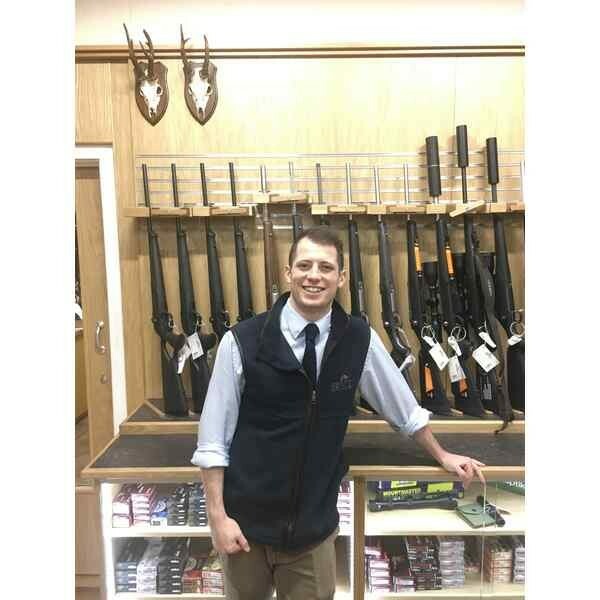 Once you have selected the rifle in the calibre of your choice and set it up with a scope and moderator it is time to go and zero it in.Many people find the process quite daunting, but Mickey talks us through some very important and simple tips to help us through that zeroing process. 1.Safe back stops – It doesn’t matter what calibre or what ammunition you use but a safe back stop is of the utmost importance. A little .22lr can travel as far as a mile and a .308 up to 8 so you need to make sure every round will land into the ground safely. Soft ground will also greatly reduce chance of a ricochet. 2.Clean Rifle – Make sure your rifle is clean before you start the process of zeroing or before trying different brand/type of ammunition. This eliminates the possibility of a dirty bore potentially affecting accuracy. 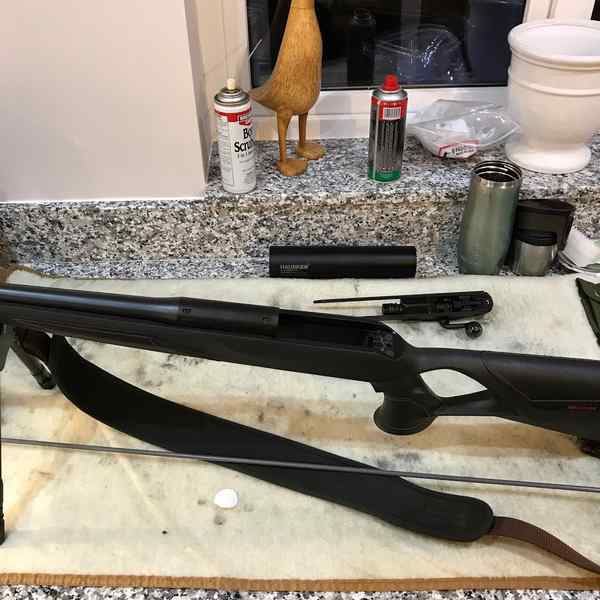 It is important to mention that it’s not unusual for the point of impact of the first round of a clean bore to be slightly different to the rest of the group often referred to as a “fouling shot”, also many rifles will actually increase in accuracy with a slightly dirty barrel. 3.Calm weather – Strong winds and gusts can cause bullets to drift in flight. Try and pick calm days to get the most accurate zero. 4.Check screws – Make sure all scopes bases/rings as well as sound moderator and actions screws are tight and torqued to spec. A slack screw can easily account for loss of accuracy. 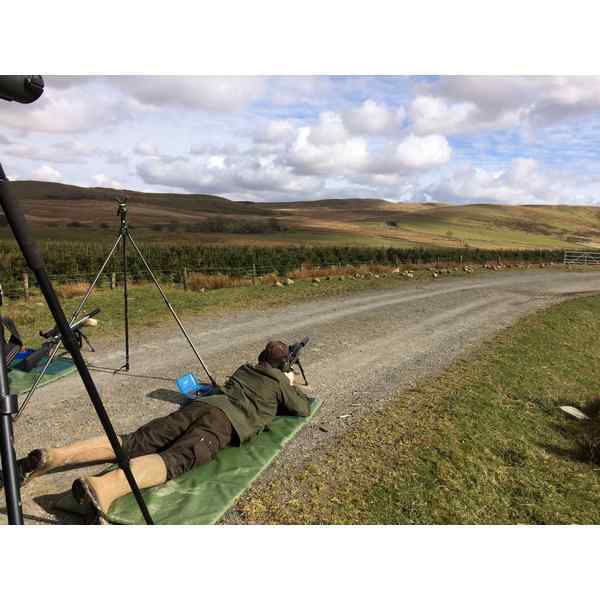 5.Shooting position – Make sure you are in a comfortable shooting position such as prone off or at a bench with a solid rest at the front and back of the stock like sand bags. The less the shooter interferes with the rifle the greater the potential is for better accuracy. 6.Breathing – Controlling your breathing is vitally important to improve accuracy. Take several deep breaths and try to shoot on a relaxed heart rate. Breath half way out and squeeze the trigger slowly preferable in between heart beats. 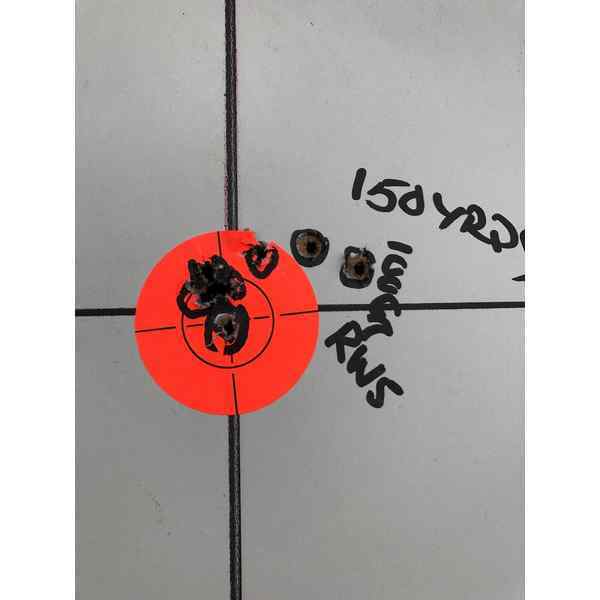 7.5 Shot groups – Firing 5 shot groups, although not necessary, gives a far more accurate test to exactly where your rifle is firing if you happen to pull a shot. 8.Find the best round – The reason one rifle will love a particular round and the next off the production line will hate it is still a mystery. Due to barrel harmonics every rifle will fire some rounds better than others and some are fussier when it comes to finding what it likes best. Buy 3 or 4 different brands of ammunition that will fulfil your needs and see what groups the best and stick with that round. 9.Point Blank Zero – A personal choice but if you set your rifle to shot 1.5” high at 100 yards that will give the vast majority of centre fire calibres point and shoot zero out to 200 yards on a 6” sized target (the size of a heart and lung kill zone on a deer). From zeroing your rifle onwards the rest is all up to you in your shooting adventures with your trusty rifle.There are so many options in accessories such as scopes, night vision, torches and moderators.Over the course of this year in future upcoming blogs in this series we will have features looking into all these exciting additions. Now time to grab those rounds and get yourself down to the range ..